Port Owen and Admiral Island Estates is owned and managed by Gail Stuyck. 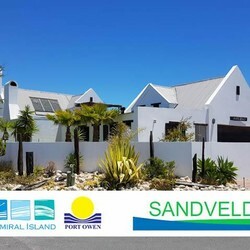 Gail moved to the West Coast – Port Owen in 1984 when husband Frank accepted the position as Marina Manager at Port Owen. Both Frank and Gail have a vast amount of experience in all matters relating to the Marina, Velddrif, the River, St. Helena Bay as well as the ancillary activities such as sailing, power boating etc. 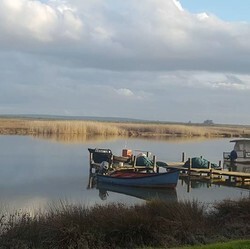 They have both taken a keen interest in community life and Frank has over the years been commodore of the Port Owen Yacht Club, chairman of the Port Owen Marina Authority, chairman of the Local Tourism Association and president of the local Rotary Club. Gail in turn has been president of the local Inner Wheel Club.